Posts on our bed and breakfast accommodation blog about Newcastle Theatre Royal, 100 Grey Street, Newcastle upon Tyne, NE1 6BR. 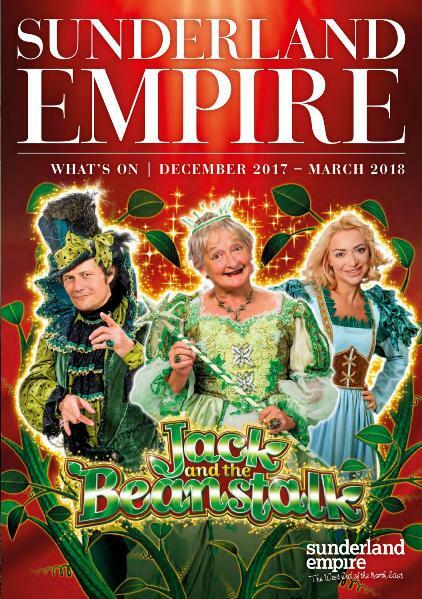 If you are visiting our bed and breakfast accommodation in Autumn 2018 or Spring 2019 then you may be interested in the latest What’s On guide for Newcastle upon Tyne‘s Theatre Royal on Grey Street, NE1 6BR and Newcastle upon Tyne‘s City Hall at Northumberland Road, Newcastle upon Tyne, NE1 8SF. The Theatre Royal on Grey Street, Newcastle upon Tyne, NE1 6BR presents more than 380 performances to an audience of over 300,000 people annually. It is also the regional home of The National Theatre, Opera North and The Royal Shakespeare Company. If you are looking for bed and breakfast accommodation for your visit to either the Theatre Royal on Grey Street, Newcastle upon Tyne, NE1 6BR or Newcastle upon Tyne‘s City Hall on Northumberland Road, Newcastle upon Tyne, NE1 8SF please see our availability and online booking page. If you are visiting our bed and breakfast accommodation in Summer/Autumn 2017 then you may be interested in the latest What’s On guide for Newcastle upon Tyne‘s Theatre Royal on Grey Street, NE1 6BR and Newcastle upon Tyne‘s City Hall at Northumberland Road, Newcastle upon Tyne, NE1 8SF. If you are visiting our bed and breakfast accommodation in Spring/Summer 2018 then you may be interested in the latest What’s On guide for Newcastle upon Tyne‘s Theatre Royal on Grey Street, NE1 6BR and Newcastle upon Tyne‘s City Hall at Northumberland Road, Newcastle upon Tyne, NE1 8SF. If you are visiting our bed and breakfast accommodation in Autumn 2017 or Spring 2018 then you may be interested in the latest What’s On guide for Newcastle upon Tyne‘s Theatre Royal on Grey Street, NE1 6BR and Newcastle upon Tyne‘s City Hall at Northumberland Road, Newcastle upon Tyne, NE1 8SF.